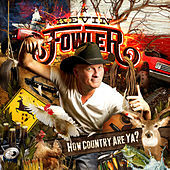 Amarillo, Tex., native Kevin Fowler was raised on country music. When he graduated from high school, Fowler moved to Los Angeles, where he attended the Guitar Institute of Technology. In the early '90s, Fowler found his way back to Texas and hooked up with the Austin-based hard-rock band Dangerous Toys. From there, he formed a Southern rock band, Thunderfoot, but he eventually threw in the rock 'n' roll towel. Fowler and a new band earned a weekly gig at Babes in Austin, and two years later, they self-recorded the album Beer, Bait and Ammo. After radio stations in Texas started playing the title track, the album ended up selling 30,000 copies. In addition, singers Mark Chesnutt and Sammy Kershaw both recorded the song, with great success. 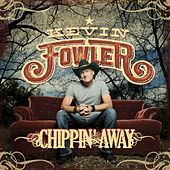 Doors were now opening for Fowler, who signed with Clint Black's Equity Music and released two albums before Equity shuttered its doors. In January 2010, the singer signed with Lyric Street Records and released the single "Beer Season." In a serious case of deja vu, Lyric Street closed up shop and transferred Fowler to its parent company, Disney. Fowler's next single, "Pound Sign," was his first to crack country's Top 40 charts.